I have a confession: I feel really guilty. Why? Because I’ve waited way too long (like three weeks!) 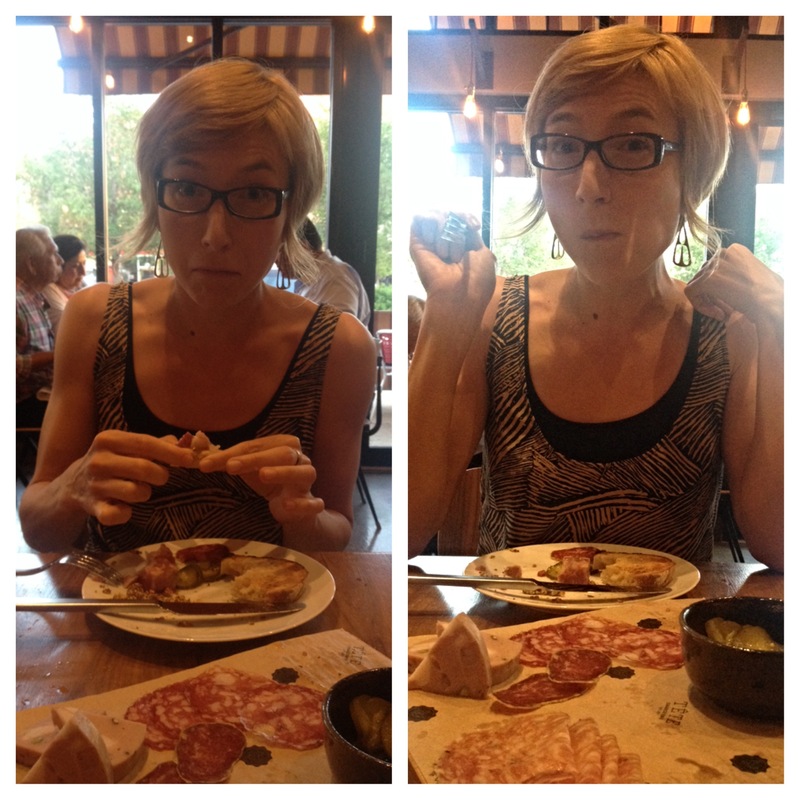 to tell you about this little gem: Tête Charcuterie. Life gets in the way–work is busy, my sister AND sister-in-law had babies in the same week (yay! ), I went to New York City for almost a week, we found a new apartment (more on that later), I had jury duty–but seriously, no excuses. 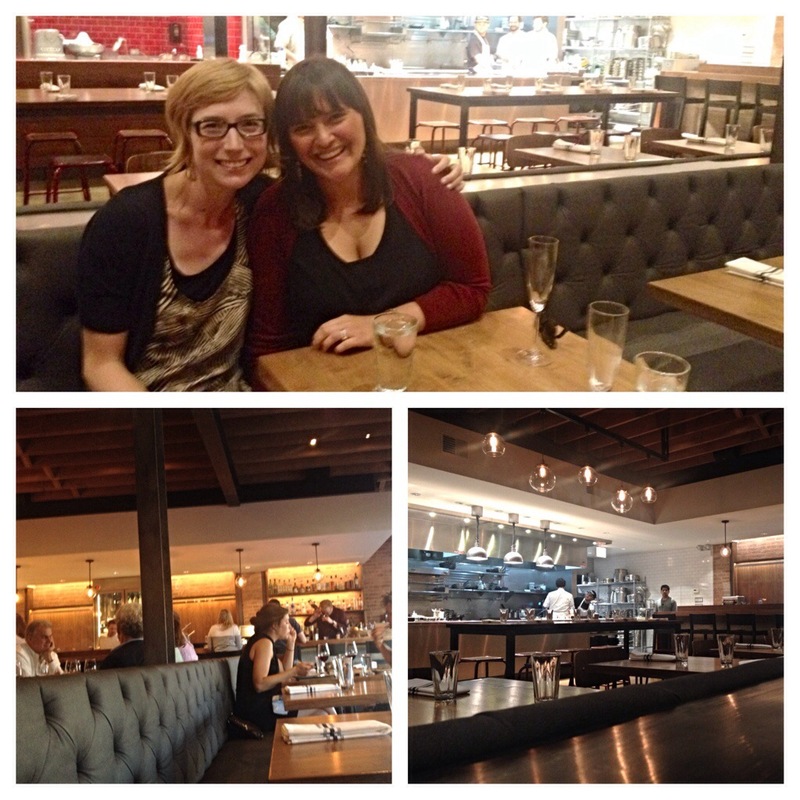 I met one of my oldest friends, Ali, here for a night of major catching up. We sat inside, where it was quiet and cool. Right away we were greeted, and Ali had the Three Amigos while I ordered a Tête a Tête, which our waiter said was a better version of a Moscow Mule. Sold! It was very tasty and refreshing. What made it even better was when the bartender came and checked on how the drinks were himself. That’s extra points in my book. 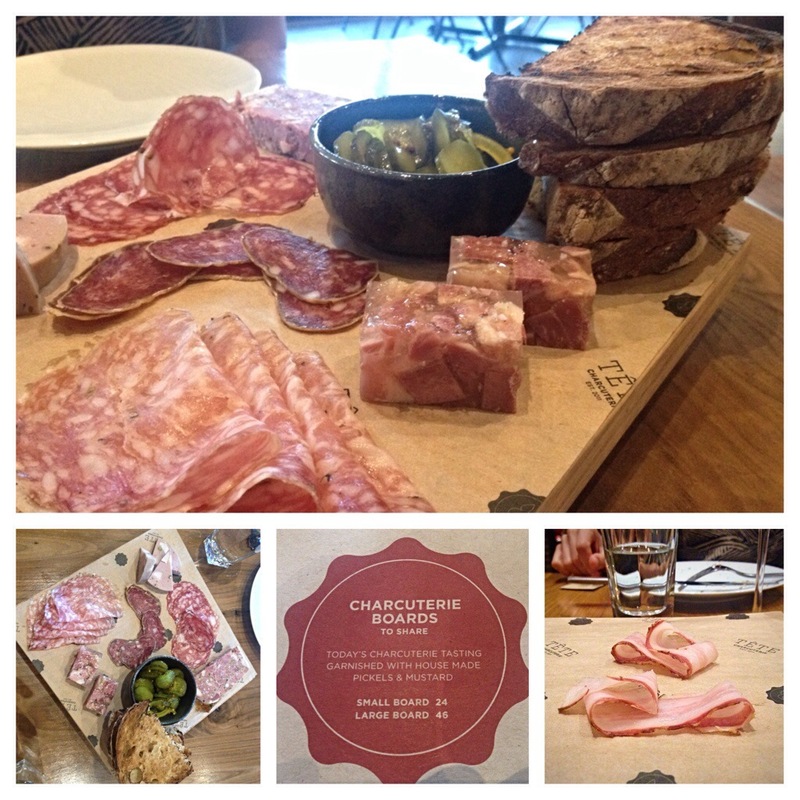 We wanted to try a variety of meats, so we went with the small charcuterie board, which includes a taste of everything: chicken liver pate, mortadella, salami, and the house specialty–head cheese–as well as thick, delicious bread slices, sweet pickles, and whole grain mustard. 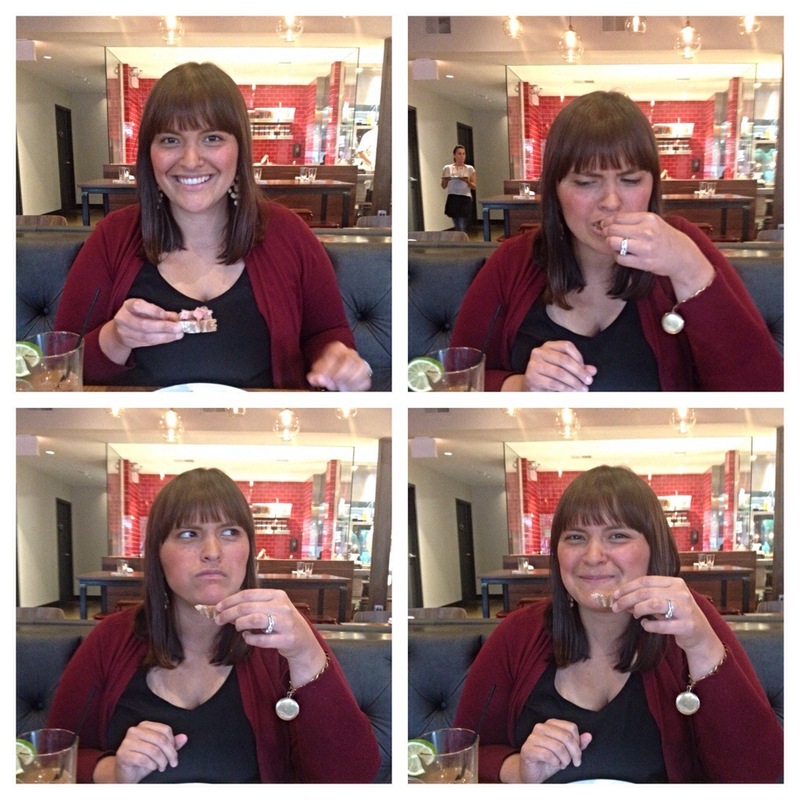 I have more to confess: I was nervous about eating the head cheese. If you don’t know what head cheese is, it’s a meat jelly (no dairy here) made with various parts of the pig’s head–very European. I questioned trying it, but like the saying goes, “When in Rome…”, right? 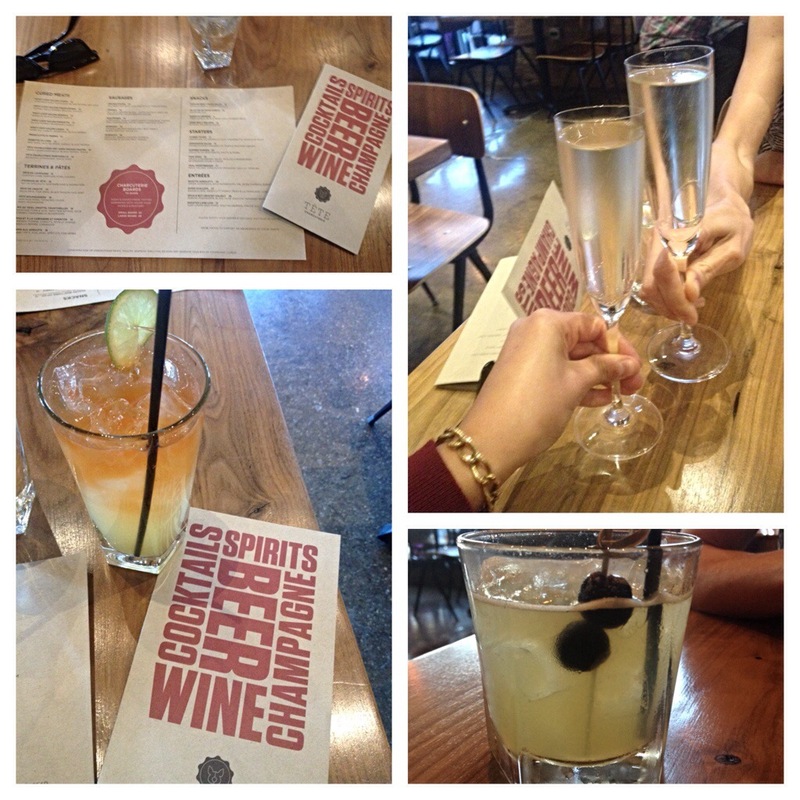 So Ali and I tasted it at the same time, and…it wasn’t bad at all! Moreover, what makes this board so good is that each bite is deliciously unique. And it’s really the perfect portion for two people to share as a meal. While we were eating, we were checked on again by Amanda at the hostess stand. More points for Tête! Then Dan, general manager and partner of Tête, stopped by to chat, and brought out a sample of the applewood smoked bacon. (I mean, who can turn down a delicious piece of bacon?!?) It was the perfect amount of smokiness and melted in my mouth. What a decadent end to a wonderful meal. 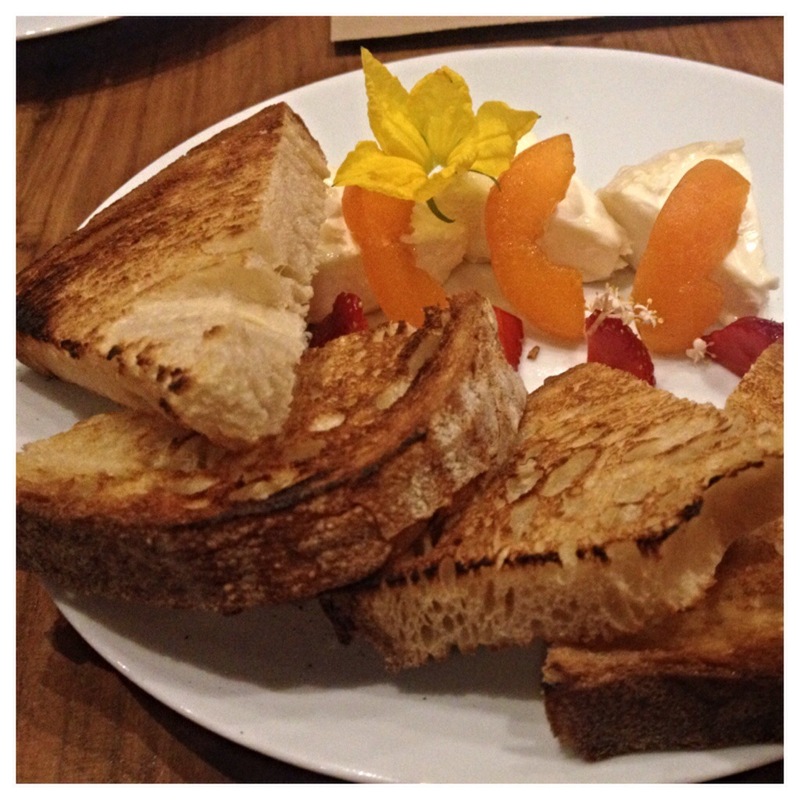 Now, when we were there, Tête just had its three-month anniversary, and Daniel told us they will have their own cured meats to try in a month or less (ours were from West Loop Salumi just across Randolph Street)–I know I will definitely be coming back to try them. 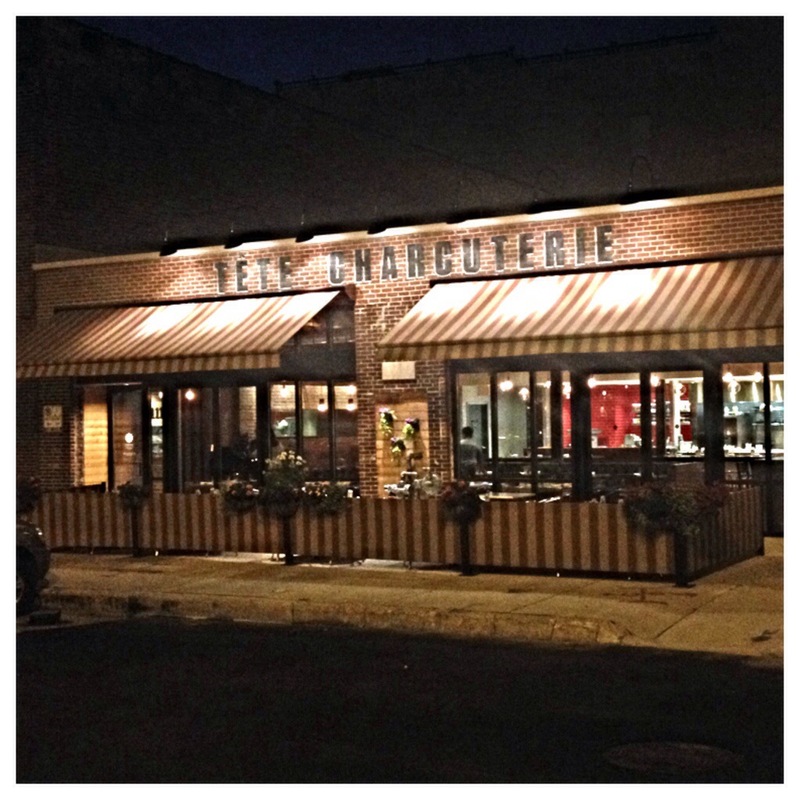 Honestly, if you want incredible service and delicious, unique fare, head to Tête Charcuterie. The care that they put into their food and their customer service shows. It’s perfect for date night, a night with the girls, a group, you name it. Just make sure you go.